If you are going to join us for a run it would be very helpful if you could email the newcomers’ co-ordinators prior to your visit, newcomers@bournvilleharriers.org.uk. For more details visit the Thinking of running with us page. 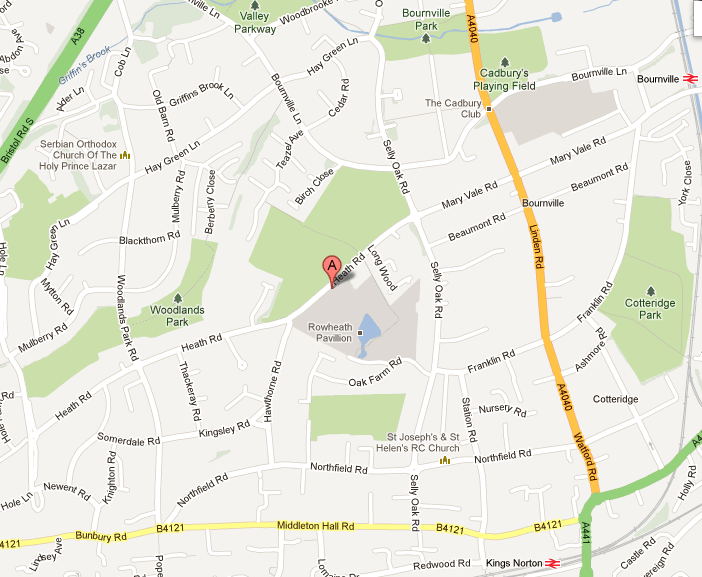 We meet at the Rowheath Pavilion in Bournville on Mondays and Thursdays for official training sessions. Announcements are at 7:20pm then training begins at 7:30pm.